A Canadian writer who focuses largely on technology, gadgets, and electronics for publications like Forbes.com, Shaw Media and Wired.com. When it comes to high school and college, September usually means a rush to stock up on a range of items from binders and highlighters to textbooks, iPods and designer jeans. In recent years, computers and laptops have been added to that mix. Increasingly, e-readers are also being included and this may just be the year that these devices begin the transition from 'nice to have' to 'must have' back to school accessories. If you're not sure if dropping $140 or so on an e-reader is a worthwhile academic investment, here are 10 reasons why a Kindle, NOOK or other e-reader is worth considering. Carrying just three textbooks in a backpack can be a 15-pound burden, one that gets pretty old by the end of a long day. Even a laptop is likely four to five pounds. Choosing an e-reader for your texts means 'lugging' around anywhere from 6.5 to 10 ounces and you can probably slip it in a pocket. As an added bonus, with your library in your pocket, kiss the old college standby of bookshelves made of planks and cinder blocks goodbye. A multipurpose device like an iPad may make a decent e-book reader (so long as you don't attempt it outdoors or under reflective lights), but the cheapest iPad Air 2 starts at $399 and the lowest cost iPad Mini 2 at $269. Most top-selling e-readers are priced under $150, and you can pick up an ad-supported entry-level Kindle for $59.99. We took a quick review of a random Grade 12 English class reading list from their "A" list, took the six required novels and plugged them into Amazon.com. To buy printed versions (paperback where available) would've cost $69.07 while buying the Kindle versions instead, came out to $23.73. Mileage will vary depending on the subject, but e-books tend to reliably offer savings compared to printed versions. For some students, the e-reader may literally pay for itself. Surveys have shown that e-reader owners tend to read more than they did before taking the plunge. The convenience of having a wide variety of e-books in their pocket is a big reason for this. Students who carry an e-reader have the opportunity to easily catch a few minutes of reading while riding transit, taking a break between classes or at lunch; and with an e-reader, it's not limited to the one or two textbooks they happen to have in their backpack. When it comes to school, reading more is definitely a good thing. With traditional paper textbooks, many students are reluctant to make notes or highlight passages for fear of ruining the book. If you make a note, then change your mind, those scribblings can become a real clutter. 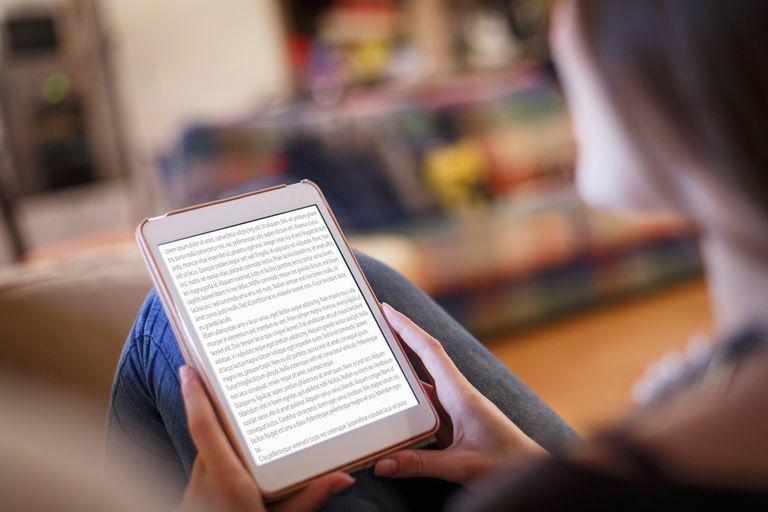 Most e-readers offer the capability of highlighting text and making notes without worrying about permanently vandalizing the e-book. You can't do this with every e-reader, but the truly budget conscious will appreciate the fact that it's possible to send and receive e-mail for free, without a Wi-Fi connection if you invest in an Amazon Kindle 3G (which includes free, global 3G access). E-reader manufacturers are increasingly adding social media functions to their offerings. Kobo has 'Reading Life', while Barnes & Noble offers 'NOOK Friends,' for example. Using these tools, you can engage in conversations about e-books, share thoughts, make recommendations and in some cases, even lend or borrow titles. It's a lot easier than trying to round up a group of people for a study session. Most e-readers are available with Wi-Fi connectivity. Which means that while other students are undergoing the annual ritual of standing in line for hours at a time with armloads of texts, you can effortlessly shop online and have your purchases show up on your e-reader almost instantly. Libraries are continually growing their e-book collections and if you'd rather relax at home than make the trip to borrow a book, an e-reader lets you pick up many titles for two weeks without spending a dime or setting foot out the door. Better yet, no trudging back to the library to return borrowed books, no late fees and copies are pristine. Amazon's Kindle has been shut out of this party for the past few years but has since joined the party. We all know that students are notoriously forgetful. Most e-readers can go a month (even two months in the case of the NOOK Simple Touch) without recharging. That means —unlike a tablet or laptop— no having to remember to top up the charge every night and only having to locate the recharger or USB cable a few times each semester. What's The Best E-Reader For School? Will Buying an E-Reader Save You Money on Books? Does an E-Book Reader Have To Offer WiFi?